Strengthen confidence in the Bible’s inerrant nature and discover how the Bible proves itself with the Apologetics in Action Course. Equips you by strengthening your faith and learning to defend God’s Word. 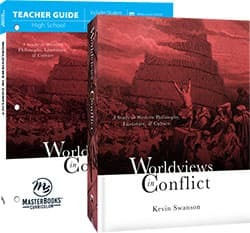 Earn one apologetics credit in this one-year biblical studies elective. The Apologetics in Action course is a biblical studies elective used in the Master Books 11th Grade Curriculum Bundle. 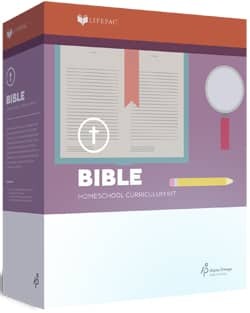 With the Teacher Guide for Apologetics in Action, you will use How Do We Know the Bible is True, Volume 1, How Do We Know the Bible is True, Volume 2, Demolishing Supposed Bible Contradictions 1, and Demolishing Supposed Bible Contradictions 2 for a one-year biblical study elective. How Do We Know the Bible is True, Volume 1 discusses over 20 relevant issues from a variety of authors. Authoritative authors include John MacArthur, Terry Mortenson, Jason Lisle, Bodie Hodge, and more. Does the Bible contradict itself? And more. How Do We Know the Bible is True, Volume 2 addresses over 29 relevant issues from a variety of authors. Authoritative authors include Tim Chaffey, Dr. Georgia Purdom, Brian H. Edwards, Bodie Hodge, Ken Ham, and more. Why Are Young People Walking Away from Our Churches? Why is the Bible Unique? The Authority Test—Christianity or Humanism. Preview How Do We Know the Bible is True V2. Demolishing Supposed Bible Contradictions Volume 1, Exploring Forty Alleged Contradictions provides core biblical truths to help refute claims of inaccuracy. Contributors include Steve Fazekas, Paul F. Taylor, Dr. Jason Lisle, Dr. Georgia Purdom, Bodie Hodge, and more. Addresses over 40 issues of contention in the Old and New Testaments. Equips you to accurately defend your faith and challenge secular or humanistic agendas. Demolishing Supposed Bible Contradictions Volume 2, Exploring Forty Alleged Contradictions provides 40 powerful explanations to prove that the Bible is accurate and without error. Contributors include Steve Fazekas, Tim Chaffey, Ken Ham, John Bartlett Jr., Ron Dudek, Bodie Hodge, and more. Why don’t Christians follow all the Old Testament laws?